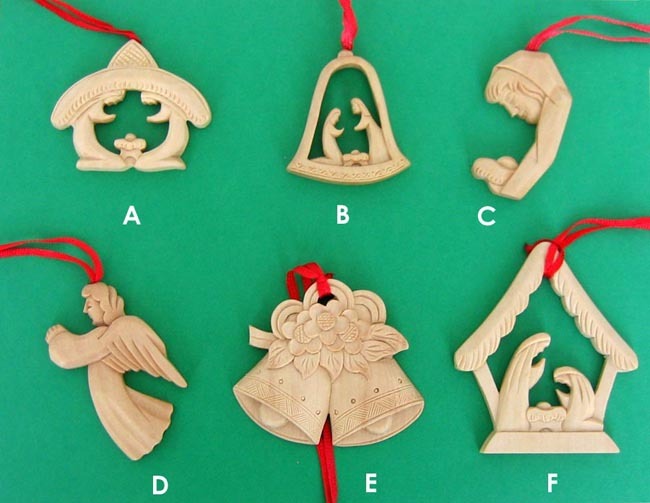 Here are six different hand-carved wood ornaments made by Chinese peasant farmers to earn supplemental income. The ornaments are made from linden wood, or sometimes darker camphor wood. $5 each. Please click here for purchasing instructions. Last ones!